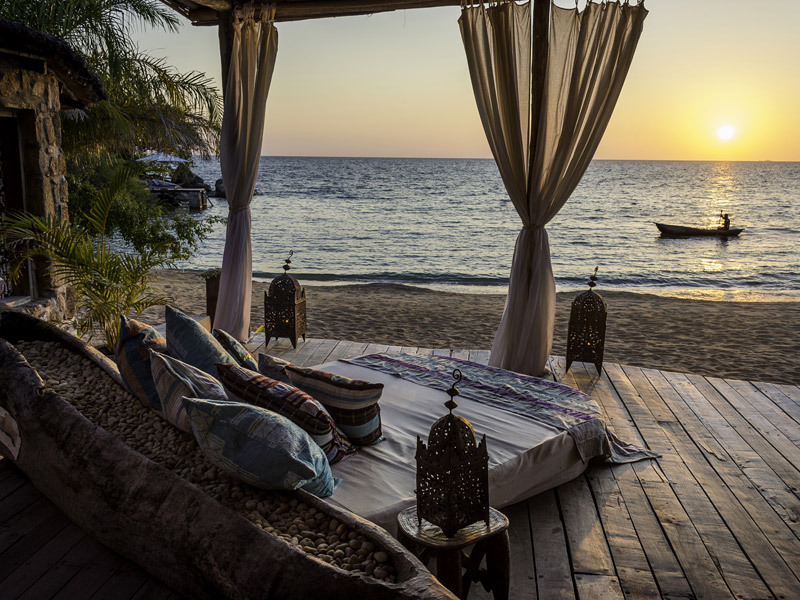 Kaya Mawa is an exquisitely designed lodge in the middle of the lovely Lake Malawi on the tiny Likoma Island! 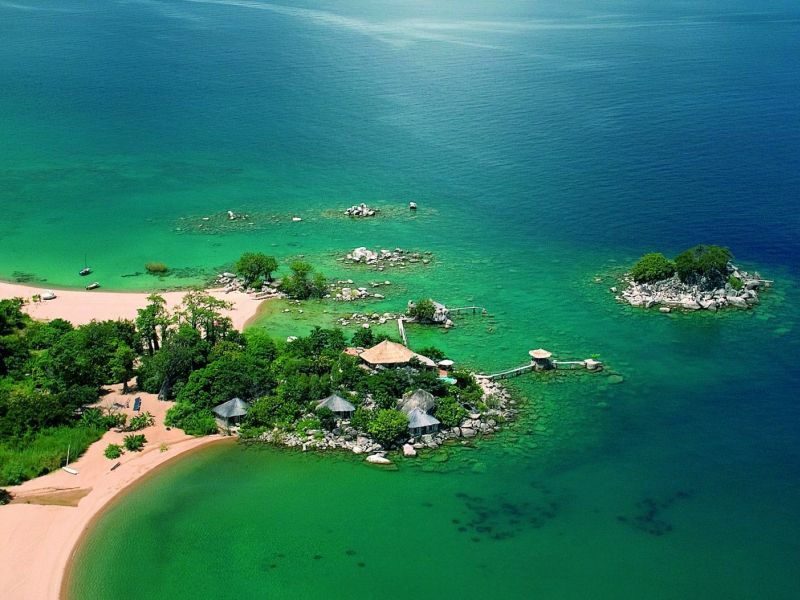 Visit the Likoma Cathedral or snorkel on the rocks close to the lodge and spot the freshwater cichlids! There is a delightful bar and dining area boasting delicious and varied cuisine, with enchanting Malawian staff who will embrace you with warmth and hospitality! Enjoy complete relaxation or enjoy a variety of unique water sports. Everything from stand-up-paddle boarding, kayaking, kitesurfing, to a PADI dive school! Simply fantastic! 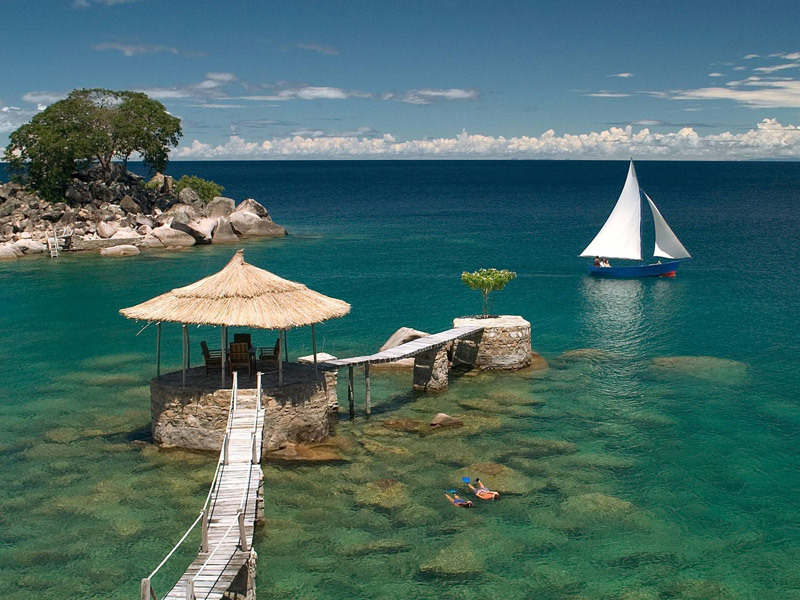 Learn about life on an island in the middle of a freshwater lake between Malawi and Mozambique. Enjoy a beach holiday with a difference in a destination where fishing and agriculture mean survival for local people. 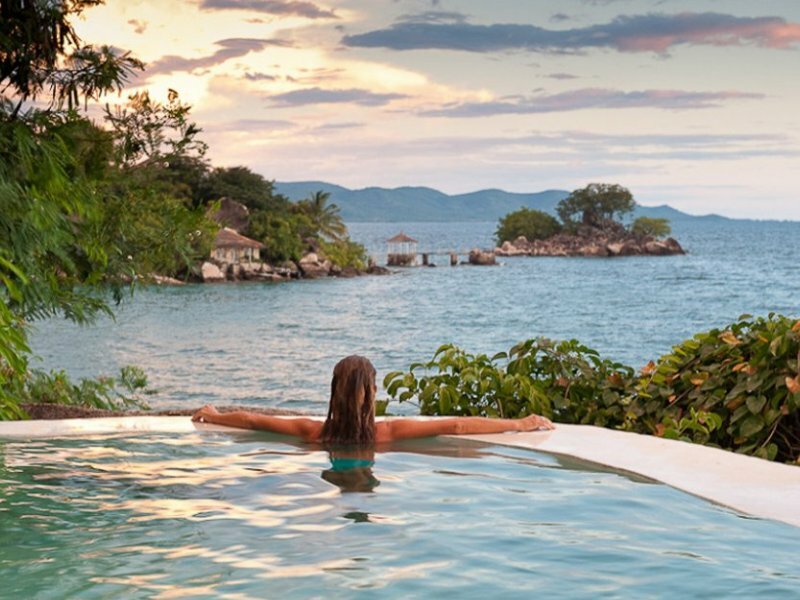 Choose the luxury Kaya Mawa on Likoma Island to experience a chic break from daily life and immerse yourself in beautiful surrounds. 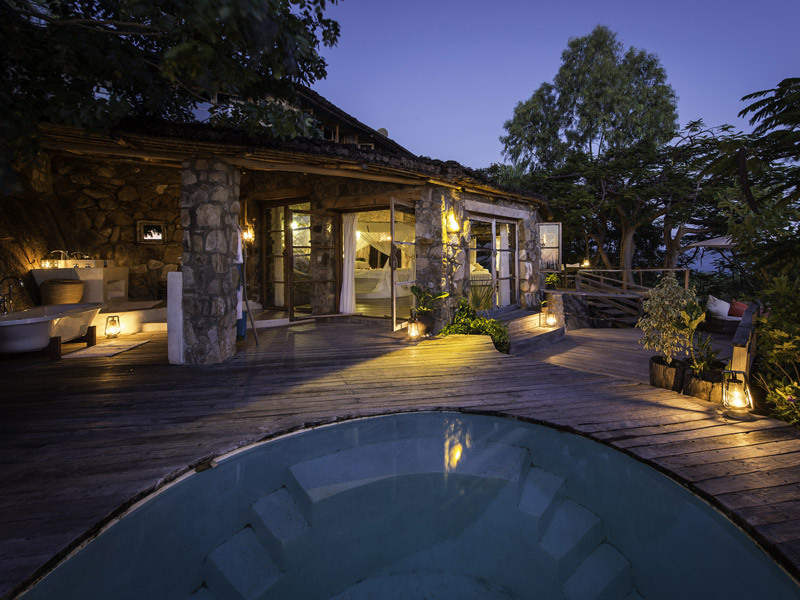 Lying 12 km from the Mozambique side of Lake Malawi (or Lake Niassa) the stone and wood Kaya Mawa was built by hand and is a well-recognised Malawian/Mozambican destination of choice. 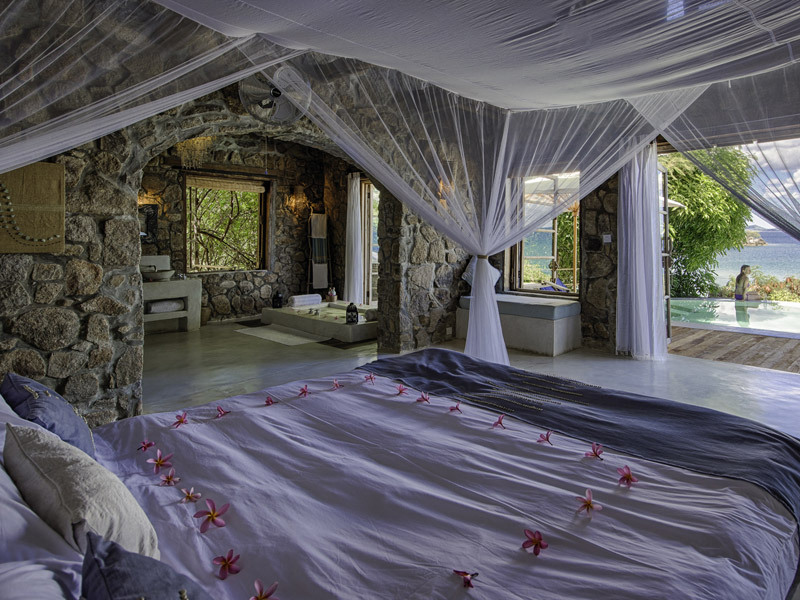 The décor in each room is unique with individual style, thanks to the development of Katundu Textiles which was set up on the island specifically for single mothers to learn a skill. 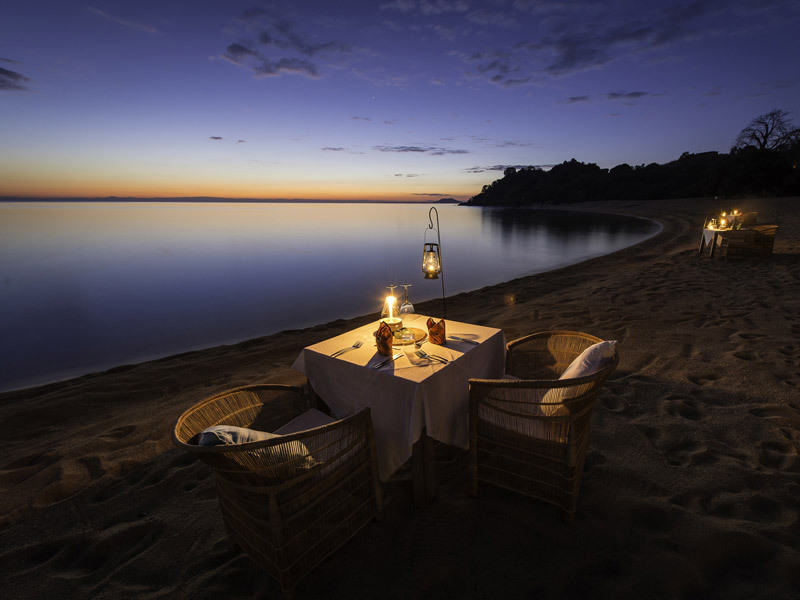 Voted the 3rd Best Beach Property in Africa 2013 in the Good Safari Awards, Kaya Mawa boasts 12 chic accKaya Mawa | Lake Niassa Accommodation | Mozambique & Malawiommodation options. Ranging from standard and premium suites to houses and family houses, all are named after one of the local villages and all boast extremely splendid views of the lake. 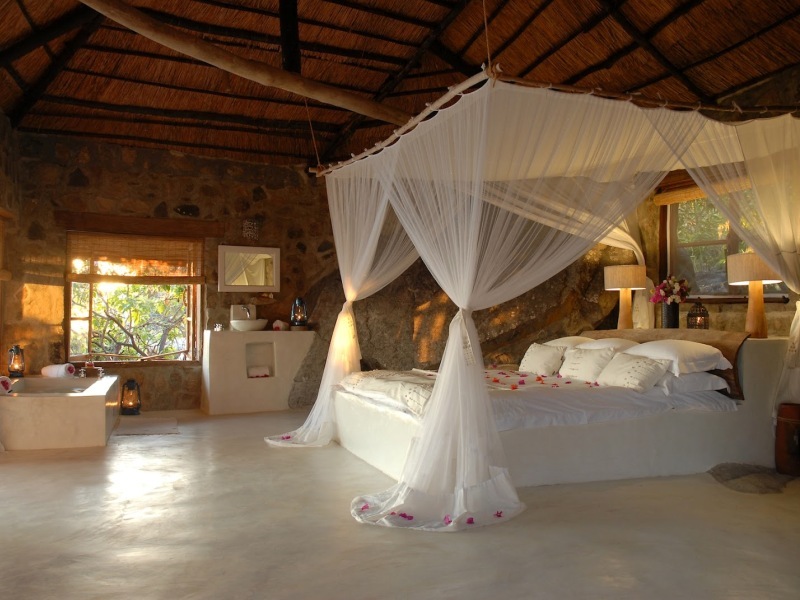 Come to Kaya Mawa for romance, elegance and a culture to explore. Mountain biking is a great way to get around. 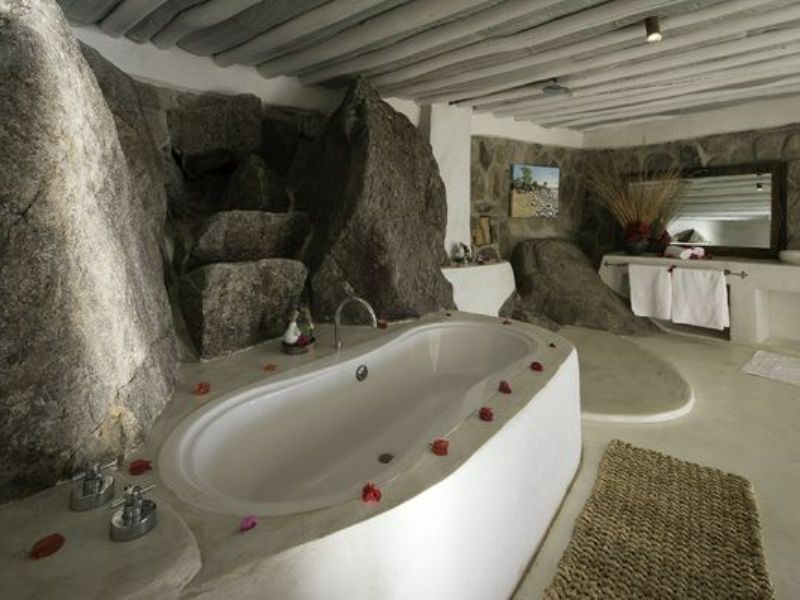 Settle into one of 10 stone and teak cottages, peeping out from behind a huge rocky outcrop. 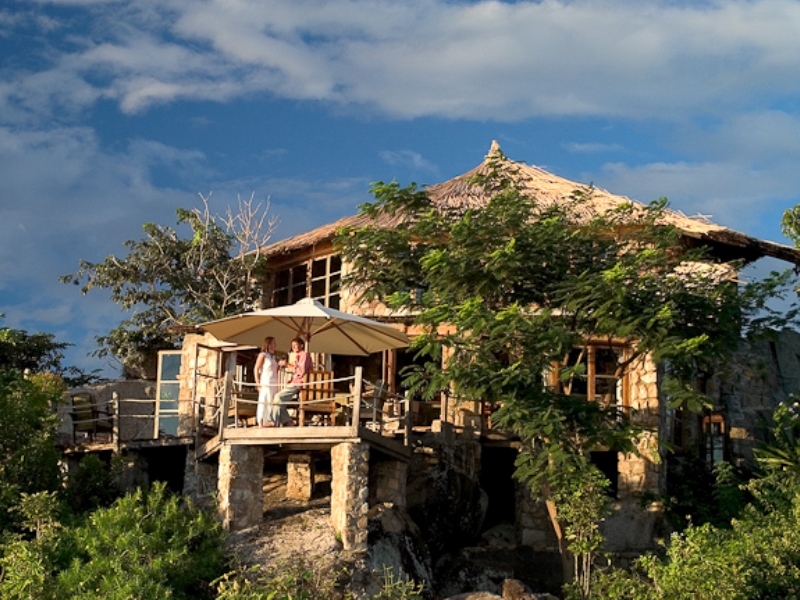 Built entirely by hand in partnership with the local community, Kaya Mawa offers 4 standard houses at the bottom of the outcrop, footsteps from the lake and featuring private decks. Family houses, houses and premier rooms offer sublime accommodation in individually decorated units with outstanding views across the lake. No 2 rooms are alike, each house having a completely different layout from the next. Bathrooms are outside or open plan according to the modern design of each house where nature is meant to enter doors and windows. 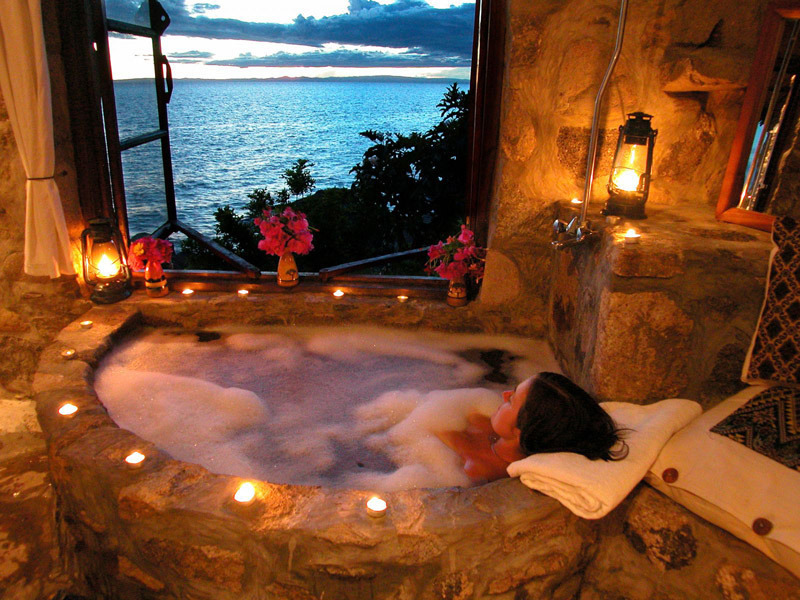 Enjoy sunken stone baths and rim flow pools. 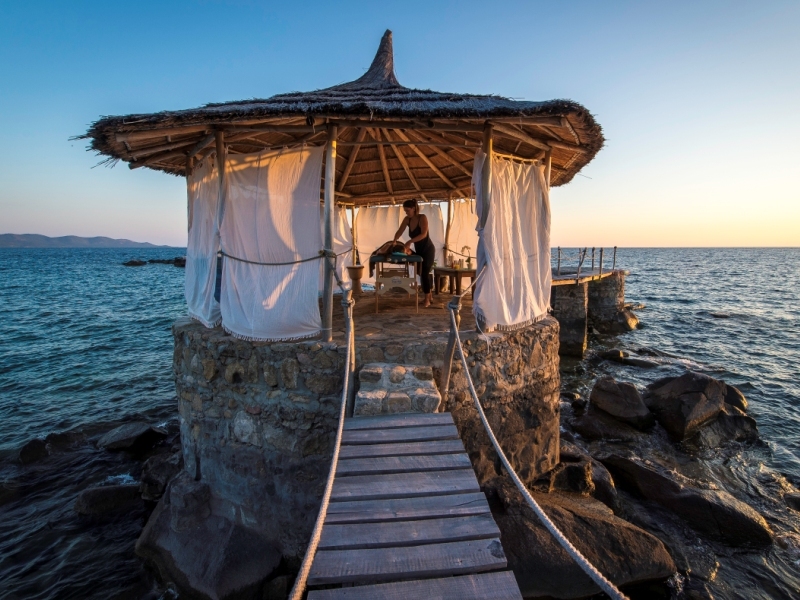 Honeymooners are pampered on their own island in a house that has to be reached by boat or wooden walkway. Fly to Lilongwe (Kamuzu) airport from Johannesburg. Board a light aircraft to the island, about an hour from Lilongwe. Head down to Chipoka, the nearest port, when you have landed at Lilongwe Airport. Board the ferry to the island, taking 36 hours trip with a few stops on the way. It’s how the locals get out to the island and is always an interesting experience. It can be unreliable and only visits the island once a week (Fridays) from Chipoka.